A brave knight breaks her vows to fight against a lunatic king calling himself "the Doomsayer" and ends up dealing with unreliable henchmen, political assassins, and a sarcastic disembodied head in a bag. Can she and her friends save the Hidden Kingdom from an unstoppable foe before her prophesied death? 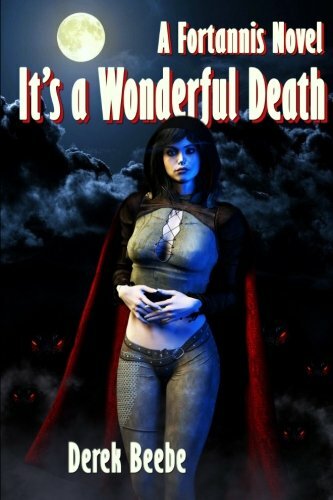 "It's a Wonderful Death" is a stand-alone novel in the shared fantasy world of Fortannis. The story takes place after the novels "Arch Enemies" and "The Axes of Evil" and features Terin Ostler and the squires from those stories.